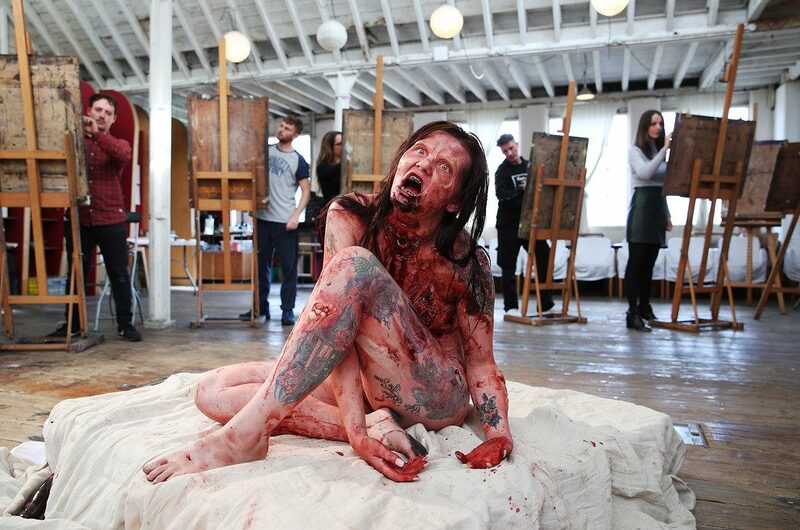 Fox have promoted a zombie life-drawing class to promote the new series of The Walking Dead and upcoming exhibition. The life (death?) drawing class featured a female model in full body walker prosthetics and SFX, posing for a group of passionate artists. Fans of the show are being offered a chance to have their work displayed in a new exhibition which opens next year.